The Alchemy Buffet Collection is a Creative Evolution of Shapes Capturing the Stunning Profiles of Energy, Balance and the Moonstone Range.The Ultimate Buffet Concept: Stylish, Modular, Versatile and Eye-Catching. Items available in Black and Red Melamine, White Ceramic and Acacia Wood. The Range is Perfect for Deli Style Buffets, Hospitality, working Lunches and Conference Catering. Hugh Jordan stocks an Extensive Range of Alchemy Buffet by Churchill. Buy Alchemy Buffet Online at Great Value from Hugh Jordan and Enjoy Next Day Delivery. Free next Day Delivery on Orders Over €100! 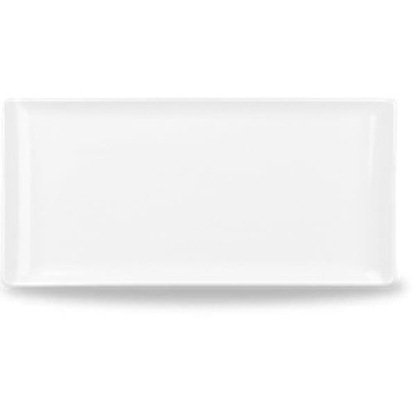 Churchill Rectangular Buffet Cover 21" x 12.75"